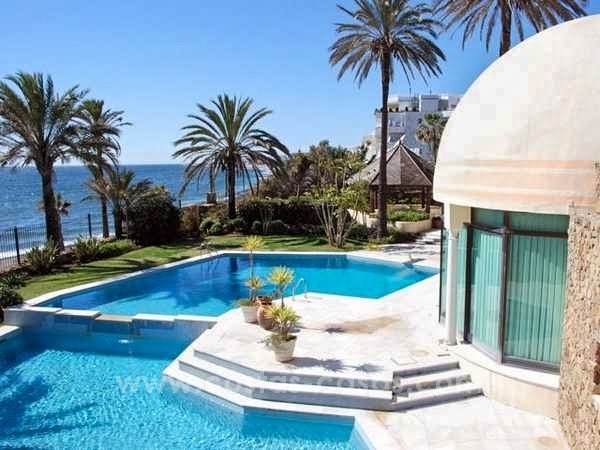 Luxury villa to buy, Marbella east. Luxury villa to buy, Marbella east. Located in a prestigious well kept urbanization east of Marbella centre. Elevated plot of almost 4.000m2 with large private garden. Large infinity swimming pool with fantastic sea view. Several terraces including a solarium from which 360º view. 2 lounges, of which the largest is 122m2 with a marble fireplace. 10 bedrooms en suite, 4 guest toilets, 2 dressing rooms Independent guestquarters with 2 bedrooms, 2 bathrooms, lounge, kitchen. Under floor heating throughout, air conditioning 3 Jacuzzi´s, 3 sat.dishes, sat.tv in every room switched independently. Fully furnished Nearby all amenities, less than 2 km´s from Cabopino port and dunes, Elviria with Niki beach, its commercial centre etc…less than 8 minutes drive to Marbella centre. 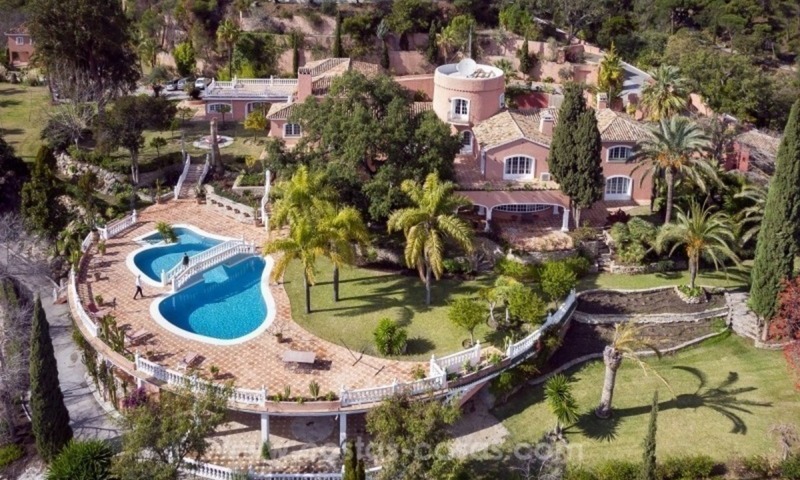 Villa - Palace for sale, Golden Mile - Nueva Andalucia - Marbella Mediterranean palacial style villa to buy in the area of Nueva Andalucia - Golden mile in Marbella. Plot of almost 10.000m2 with a mature landscaped garden with automatic irrigation and illumination, swimming pool and tennis court. Extraordinary property with 10 bedrooms, 12 bathrooms, 2 separate apartments, spacious reception room with fireplace, dining room, office, kitchen and dining room, games room, sauna, massage room, indoor swimming pool, storage, 6 cars garage, large parking. Large master suite with dressing room. Short distance to Puerto Banus, amenities and many golf courses. Contemporary luxury villa for sale, frontline golf, Marbella - Benahavis Private and secure modern luxury villa to buy with a prestigious five star golf resort on the New Golden Mile, between Marbella and Estepona. Elevated south west facing double plot. 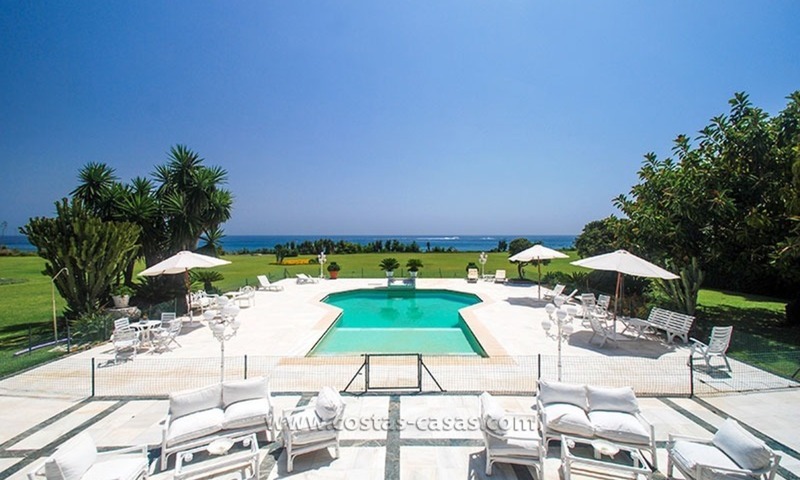 Unobstructed views over the golf course, lake, coast, sea and the Strait of Gibraltar with total privacy.